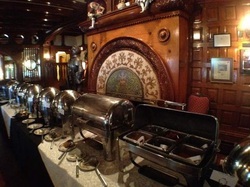 Casino Resort, Private Train Ride, Castle Dinner, Sightseeing, Shopping & More! Round trip transportation to Upstate New York, Finger Lakes & Cooperstown area. Overnight accommodations at the 4-star Turning Stone Casino & Resort included. Deluxe evening dinner at Belhurst Castle included. $40 in slot play credit at the casino included! 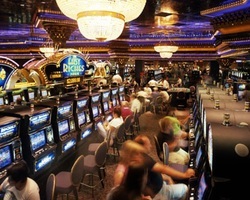 $15 in dining credits at the casino included! Admission and guided tour at Jell-O Museum included. Admission and guided tour at LeRoy Historical House included. Tour of Fly Creek Cider Mill with cider tasting included. 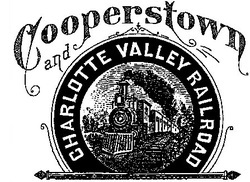 Private two hour train ride on the Cooperstown & Charlotte Valley Railroad on our own private train included. All tips and taxes are included. The booking deadline is Nov 1, 2013. All bookings after this date are on a space available basis. All prices in Canadian dollars, all taxes are included. Double occupancy is guaranteed for those travelling on their own! We guarantee to find you a roommate of the same gender or we pay the single surcharge. If you prefer to have your own private room, single occupancy is available. If 3 or 4 of you are travelling together, triple and quad occupancy is also available. Double occupancy: $299 per person. Single occupancy: $399 per person. Triple occupancy: $279 per person. Quad occupancy: $269 per person. This tour has got so much packed into the two days, it's difficult to know where to start. The list above summarizes what is included in this tour. More details of some of our key stops are provided below. 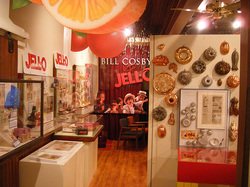 After crossing the US-Canada border in Buffalo, our first stop will be the Jell-O Gallery & Museum. Yes, there is a Jell-O museum! It's small and cute but if you grew up with Jell-O, it will bring back some fond memories. Right next door to the Jell-O Museum is the Le Roy House where we will get a guided tour of this very interesting building by the staff of the Le Roy Historical Society. Our next stop in early evening will be for an exquisite dinner at the very impressive Belhurst Castle. Perched right on the edge of Seneca Lake, just south of the town of Geneva, NY, Belhurst is listed on the National Register of Historic Properties, has been voted One of the Most Romantic Places in New York State, has consistently won Awards of Excellence in the Wine Spectator Restaurant Awards Program, and continues to be one of the most beloved destinations in the Finger Lakes. Our dinner this evening will consist of a salad to start followed by a choice of entrees and followed by dessert. Options will be available for vegetarian and gluten-free diets. Please note that all beverages are extra and you will need to settle the bill for those directly with your servers. Following dinner we will travel to our hotel for the evening, the fabulous Turning Stone Resort & Casino. 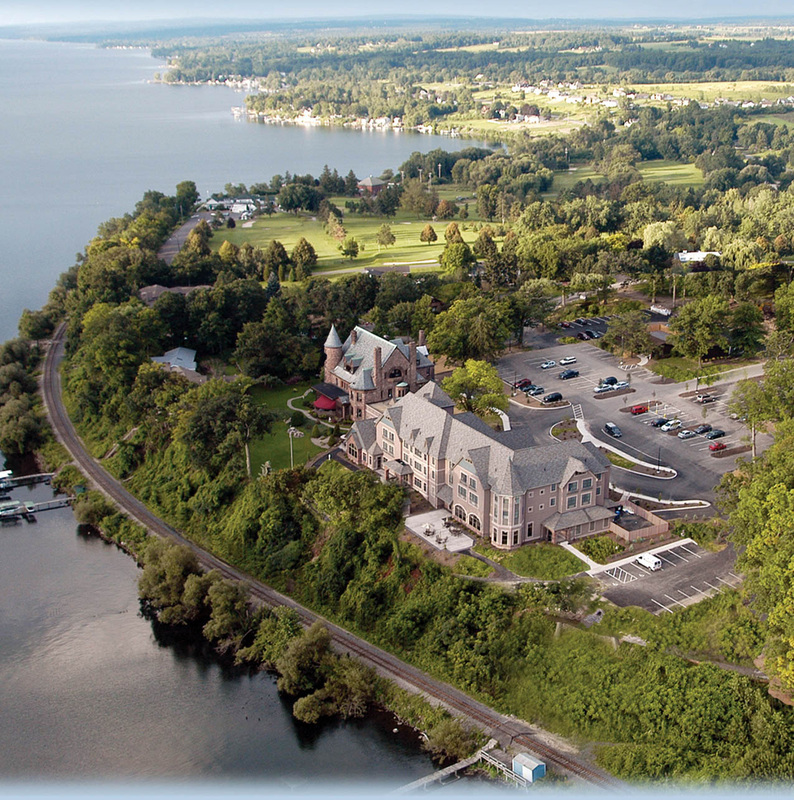 Situated in the town of Verona, on the edge of the Finger Lakes District and next to Oneida Lake, this resort caters to just about every interest. Our overnight package includes a very generous $40 slot play credit and a $15 dining credit for every member in our group! In addition to the large Vegas style casino, the resort also boasts a rock & roll lounge, a country & western saloon, a hip club, a pub, many restaurants, a food court, the pool, the gym, the bingo... well, you get the idea. On the evening of our stay, live bands will be playing in both the rock & roll lounge and the country & western saloon. There are no cover charges so you can move from venue to venue and experience all of them if you wish. After a hot buffet breakfast on Sunday morning, our first stop will be the Fly Creek Cider Mill in Cooperstown. Here we will get a guided tour of the mill and also have an opportunity to taste different ciders. We will also purchase our boxed picnic lunches here to eat later on our next stop. From the cider mill, we travel to the town of Bedford where we will board our own private tour train! Yes, we will be the only passengers aboard the train. We will then spend two hours aboard the train. 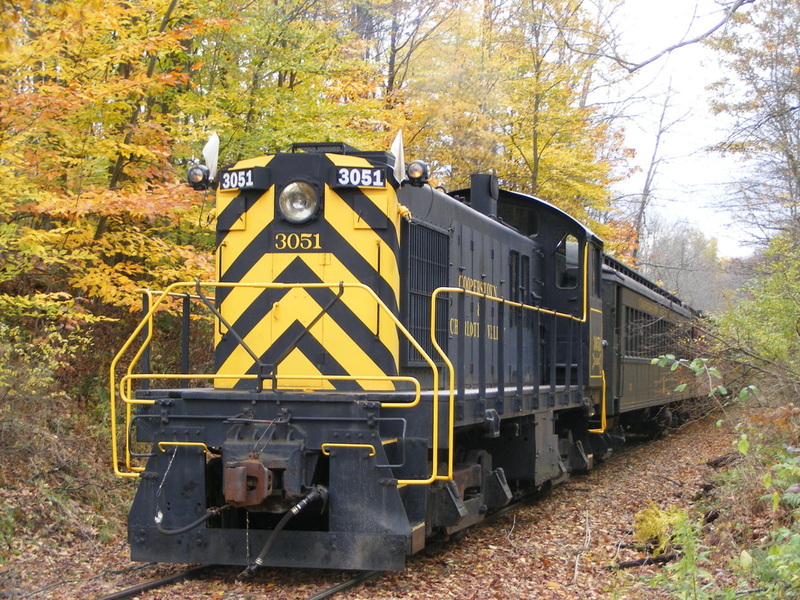 The train has two carriages and a dining car and we will eat our packed lunches during our train journey as we enjoy the sights and fall colours of rural New York State. Wow, what an experience! 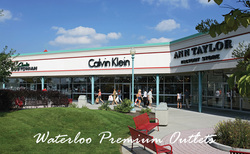 Our final stop on our way home will be the Waterloo Premium Outlets for some premium shopping. With over 100 brand name stores, there's bound to be something for everyone at this shopping destination. You will need a valid passport to cross the border into the USA. Alternatively, a valid NEXUS card or a valid EDL is also acceptable. Please note that it is your responsibility to have approriate documentation to enter the USA. If you are denied entry, regrettably we will have to leave you at the border. No refunds will be provided in the event of denied entry. All passengers are required to have emergency medical insurance prior to travel to the USA. If you are not covered by an existing policy, please contact Marville Travel at (905) 891-0111 and one of the representatives will be pleased to assist you. We leave at approximately 8:00 AM on Saturday morning. Actual pickup times vary by stop and will be sent out in the final email to all registered attendees, 2 days before the trip. We return to Toronto at approximately 11 PM on Sunday night. The last TTC subway train from York Mills Subway Station leaves at 1:12 AM so you will be back at the station in plenty of time.